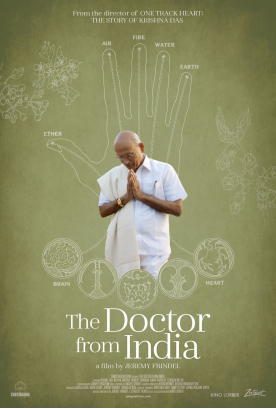 Portrait of Dr. Vasant Lad, a holistic health teacher and advocate who has brought Ayurveda from India to the west. It is a way of looking at health and living that helps one cleanse the body and become centered. Good but incredibly hagiographic look at Lad and his teachings is going to delight many and make others shake their heads at what is very much a 90 minute commercial. Put me in the latter group, since after about a half an hour I was ready to check out and go on to something else. Don't get me wrong, this really is a good film, but at the same time it is so loving that it kind of feels like a recruitment video. While I am fascinated by his teachings there is too much love for the man my taste. Worth a look for those interested in alternative ways of living, though you might be better served reading one of his books.